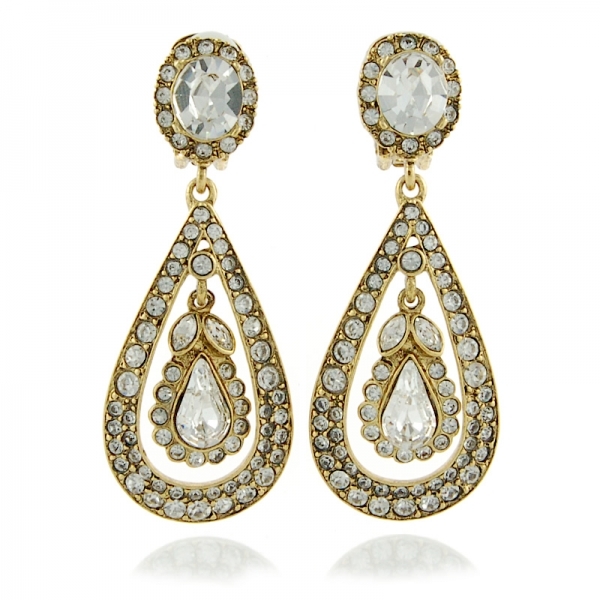 Set with dazzling pavé swarovski crystals, Kenneth Jay Lane's 22-karat gold-plated clip earrings will make a fabulous addition to your cocktail repertoire. Be sure to show off this sparkling pair with your hair in a loose knotted bun and a slick of red lipstick. Approx drop 7cm.